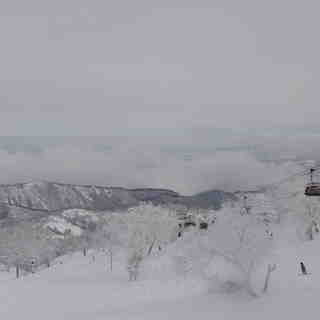 Is it snowing in Nozawa Onsen ?Thank you! 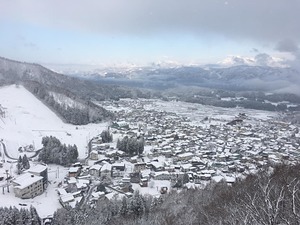 Nozawa Onsen, in Japan (located in the Nagano prefecture), is a large resort with 25 lifts (23 chair lifts) that offers skiers an incredible 1085 metres (3559 feet) of vertical descent. 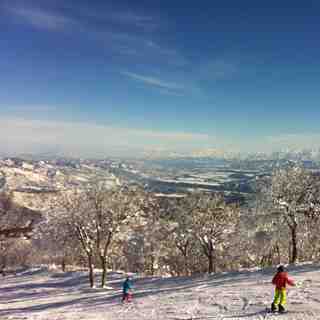 Nozawa Onsen has 734 acres of terrain over 20 pistes. 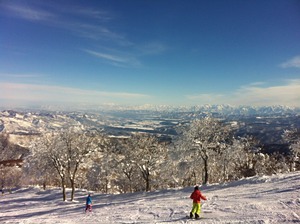 Nozawa Onsen is evenly suited for both advanced and intermediate skiers and snowboarders but with some terrain for beginners. There are a couple of locations dedicated to cross-country skiing and for snowboarders, there is a terrain park and a half-pipe. 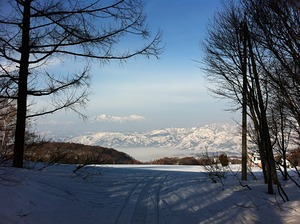 The nearest airport is at Tokyo and the nearest train station to Nozawa Onsen is at Togari Nozawa Onsen. There is accommodation located close to the pistes but we would welcome additional information about any hotels or chalets in Nozawa Onsen. 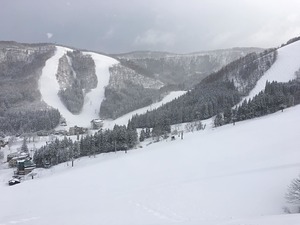 With just one month to go until the resort is set to open here in Nozawa Onsen on December 3rd, there is a cool feeling of excitement in the air. The staff as usual are out in the fields preparing the runs, cutting grass and trees to make way for mountains of snow which are hopefully just around the corner. The Japan Meteorological Agency has put out their forecast and it is looking pretty promising with average temperature and precipitation in December and below average temps in January. 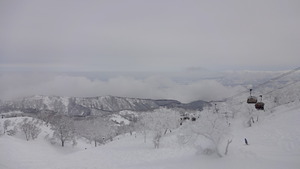 At the moment it is still fairly warm in town but temps are set to drop next week and get down to -5 degrees up top of Mt Kenashi. Anyway still early days. Nozawa is growing up. While the ratio of Japanese visitors to international visitors in the winter is fairly constant (70:30ish), there's increasingly more of the services that inbound guests want. There are several places to get excellent coffee, breadcentric breakfasts, etc, and the accommodation base in the village is gradually being upgraded. But this remains a real working mountain village (3,600 residents year-round) that just happens to have an Olympic-quality ski field. It feels much more like a small European resort (think Lech, Gstaad, or its twin, St. Anton), although culturally you're absolutely aware that you're in Japan. There's been a ski resort here for over 100 years so the snow and mountain management is world class. The village continues to invest and will replace the main gondola over the next two years. After the opening of the new shinkansen a few years ago, it's just over two hours from Tokyo so much more accessible than it used to be. The green season is picking up, with a lot of winter athletes training on the artificial slope, as well as mountain bikers rubbing shoulders with the regular guests looking for cool weather, local food/sake/beer and onsen.